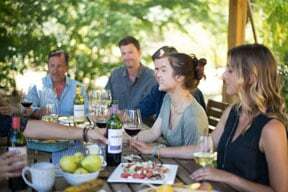 CK Mondavi and Family has made wine pairing easy for everyone, and this summer they invite you to play around with pairings. They've created a downloadable "Wine pairing made simple" guide on their website: https://www.ckmondavi.com/ckm-pairings. They also added flavor descriptors to each bottle of CK Mondavi and Family. With descriptors such as "Rich & Velvety" for Cabernet Sauvignon and "Bright & Fresh" for Chardonnay, anyone can quickly decide on a wine.